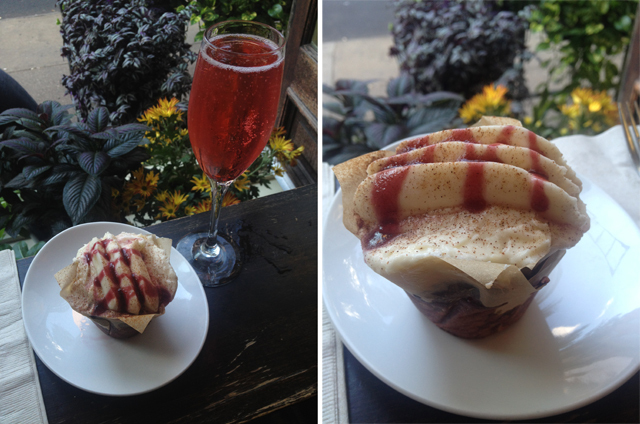 Sweet Revenge... cupcakes, champagne and New York... need I say more? New York Fashion Week isn't just about great new trends, it's also about some truly tasty treats and massive indulgences. For those of you in need of a sweet fix while out and about after shows, there's only one place I'm recommending and it's a must visit before you leave the city. Ever heard of Sweet Revenge? I hadn't either before this week. 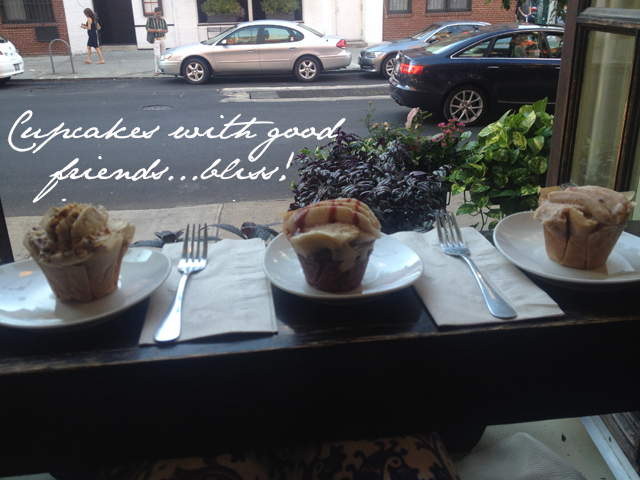 Two of my best friends insisted we try this little tucked away secret for a sugar rush and a good gossip. 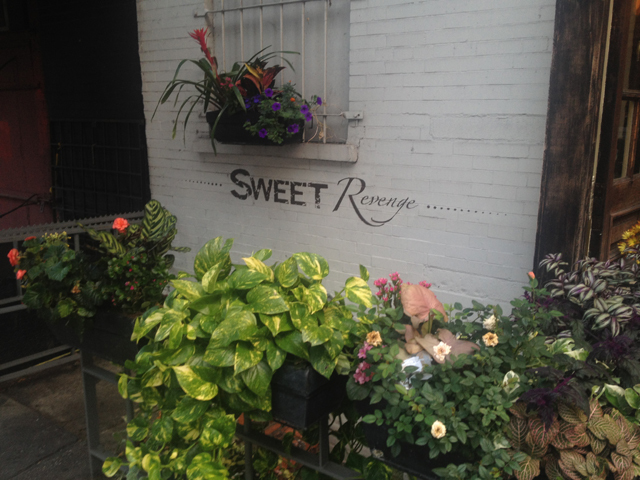 Sweet Revenge NYC certainly is not your average dessert hangout. In fact, as we sat and were approached by the waiter with menus, I wondered if we hadn't actually swung into some super cool wine bar instead. I wasn't too far off the mark. Sweet Revenge is all about cupcakes and alcohol. Yes, you read that correctly. 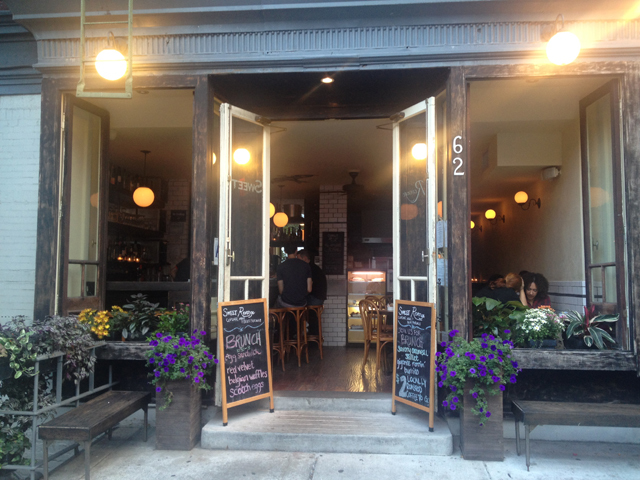 It's a hangout for those of us who aren't content with just your regular old cupcake. This is the house of gourmet cakes and fine wines, and they are paired perfectly to compliment one another. So, you're given a menu and asked to choose a cupcake. I went for the raspberry red velvet with cream cheese frosting. Turns out my preferred cupcake is best matched with a raspberry/Prosecco mix. I'm not one to turn down such a lovely pairing and when the two arrived my tastebuds were screaming out for joy and my waistline was thankful I live 3,000 miles away from this establishment. 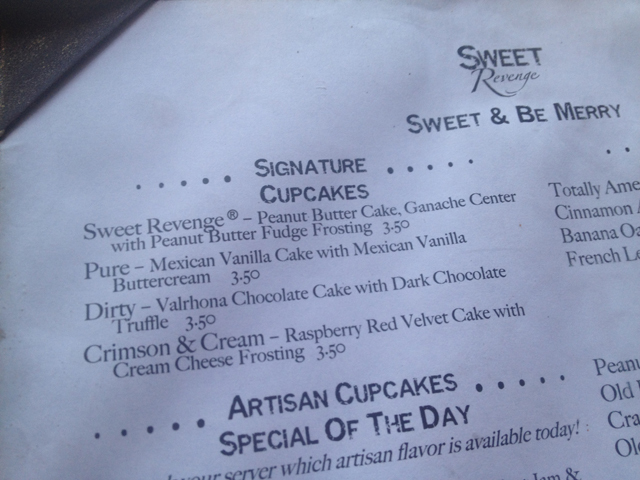 Honestly... make a date to visit Sweet Revenge. I promise you will not regret it!